Features of compactness, reliability, rigidity, are incorporated in Warn's M8000 Unit. With it's relatively low profile, allows it to be adaptable for a variety of sport utility vehicles, jeeps, and trucks, for serious off road use. For added value is it's 4.8 hp series wound motor and 3 stage planetary gear stage train. This allows a pull rating of 8000 lbs for the first line (single) layer, and a little over 6000 lbs on the 4th line layer. 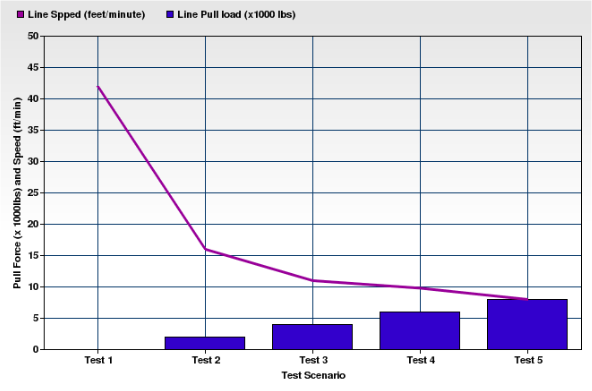 Many tasks therefore, can be performed rapidly and quietly with relative line load rating ease. The 100 foot wire rope and it's roller fairlead, (or hawse fairlead sold separately), with convenient automatic braking, durable rubber controller and it's 12 foot lead, results in easy and safe operational use. Coupled with stainless steel hardware, and free spooling clutch based on the sliding ring gear (pics of winch rebuild), and remote control box (for various mounting options - pics on Toyota of solenoid/control relocation), further enhances this winch as a durable and premium product. 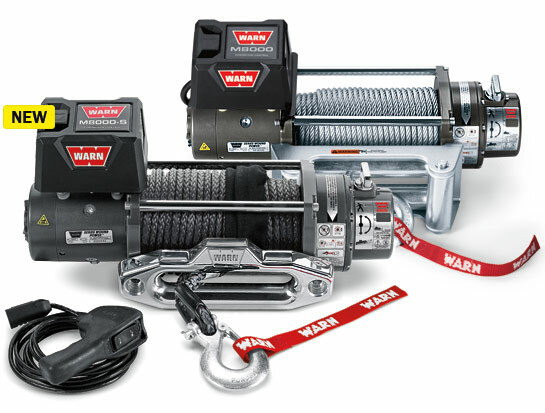 Experience fast line speed and strong pulling, with Warn's trustworthy and premium M8000 winch, which has been used for over 2 decades by off-roaders. With a powder coated finish (chip resistant), hardware design, and features, makes this a durable and valuable unit for off roading. View operators manual, parts list, and winching techniques.